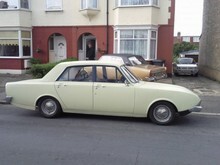 Despite the disastrous sales of the Classic, Ford decided to launch another saloon model intended to plug the gap between the Cortina and Zephyr 4. 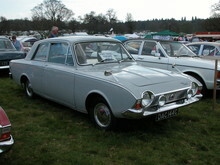 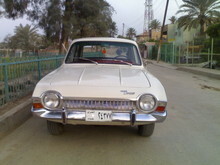 The new model, called Corsair, used Cortina Super running gear and more adventurous styling than the Cortina to distinguish itself from the mainstream models. 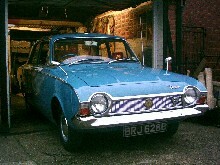 The 1498cc engine developed 60bhp and came with a manual gearbox. 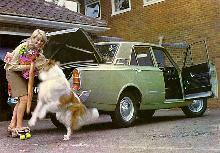 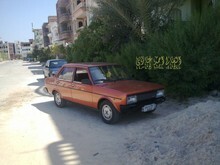 Both two and four door saloon bodies were available and Crayford produced a limited number of two door convertibles. 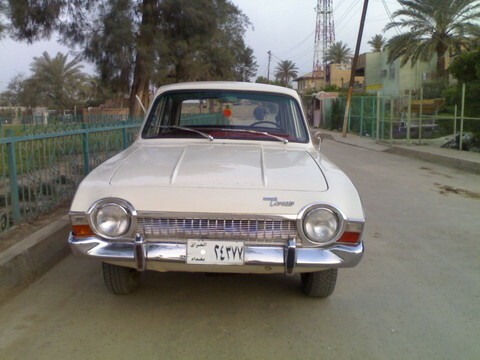 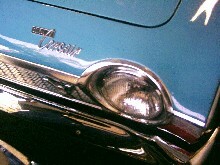 In 1965 a new V4 engine became standard in the Corsair and the original four cylinder engine was discontinued.